The Law of nuisance statutes can provide a starting point. Though many local governments adopt these definitions, they often supplement them with their own wording. Local ordinances also usually contain a list of specific activities or conditions that constitute a nuisance.d. In a regulatory environment, the term “nuisance” embraces anything that results in an invasion of one’s legal rights. A nuisance involves an unreasonable or unlawful use of property that results in material annoyance, inconvenience, discomfort, or injury to another person or to the public. The word nuisance is derived from the French word nuire, which means to hurt or to annoy. Pollock: “Nuisance is the wrong done to a man by unlawfully disturbing him. 1. Public nuisance: A public or common nuisance is unlawful act or omission which endanger the lives, safety, health, Property or comfort of the public or by which the public are abstracted in the exercise of some right which is common to all members of the community. E.g: obstruction of a highway; public inn etc. 2. Private nuisance: Private nuisance is an act which affects some particular individual or individuals as distinguished from the public at large. It is an act which unlawfully interferes with a person in the enjoyment of his own land or premises. i) Injury to property: It includes a very wide class of wrongs. Any unauthorized interferences with property or proprietary rights of another, causing damage is actionable as nuisance. Branch of a tree, Rights of light, water, air. ii) Injury to comfort: The continual doing of something which interferes with another health or comfort in the occupation of property is actionable nuisance. Ringing of large bell; loud music; Shouting etc. 1) Public and Private Damage: In public nuisance a group of people or commodity becomes harmful but in case of private nuisance a particular person or person’s damage happens. 2) Civil and Criminal: Public nuisance though it creates tortuous liabilities but it often creates criminal offence. Private nuisance is just only a tort. 3) Remedy: In case of public nuisance remedy is also punishment. 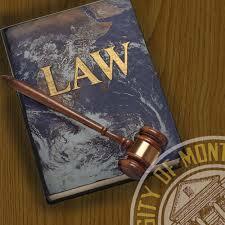 But in private nuisance: compensation, injunction or removal. 4) Prescription: Apart from prescription private nuisance may be legalized by the authority. But public nuisance is never legalized on the ground of prescription. As to civil and criminal nature. As to legalization on the ground of prescription. b) Sensible personal discomfort in the beneficial use of property. 1. Though he is not the owner. 2. Occupier not liable- By taking reasonable steps- capacity and resources. Hares wagons kept outside the house of plaintiff for an unreasonable time. The access of custom was abstracted. The house was darkened; the people in it were annoyed by bad smells. Held that the damage was sufficiently particular, direct and substantial to entitle the plaintiff to maintain an action. When a satute expressly authorises an act to be done by a certain person.